Rosh Hashanah is one of the few times a year when families that are not typically engaged are open to showing up for programs. Put your best foot forward with an innovative tash’lich program, and perhaps these families will choose to be more involved over the course of the year. Think about it: Rosh Hashanah services are long, childcare is indoors, and too often, we don’t take advantage of other traditions with which the beginning of the Jewish New Year presents us. Tash’lich is one of these often-missed opportunities. It is a short service—15 minutes or so in the evening—that traditionally takes place outdoors near some sort of body of water. The service is incredibly kinesthetic; participants throw pieces of bread into a body of water, symbolizing the literal casting away of our sins. Some congregations add a few poems, songs, and reflections to it, but even so, the service is short, sweet, and to the point. After a long day of services at the synagogue, a short ritual that takes place outdoors is a great excuse to celebrate the holiday with your community in a less formal atmosphere. In cities with larger Jewish communities, multiple synagogues often do tash’lich together. Rabbis, lay leaders, and congregants of different denominations and religious practices put aside their differences and come together for a beautiful community event. Before and after the service, kids play catch with frisbees and footballs, running around the park together. 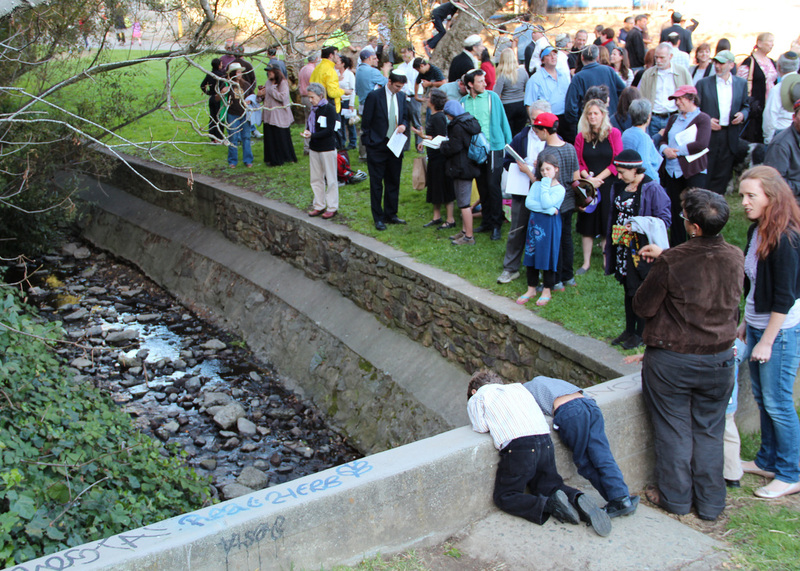 Some communities throw real bread into a lake, stream, or fountain; others symbolically cast away their sins in a different outdoor venue. Our partner communities are always looking for different programs to Jewishly engage people in a meaningful way. Call your Fellow for ideas about how to enhance the beginning of your Jewish year with tash’lich.